la Academia does not believe in boring, lecture-style training sessions: we want you to enjoy your time with us to the full. Our students are a lively and varied group, so we don’t believe that ‘one size fits all’ when it comes to learning a language. All of our classes are carefully planned to meet your needs – what each client requires is different and we’ll work with you to devise a personalised learning plan. We use innovative methods to ensure that you’re relaxed and engaged, allowing you to learn quickly and effectively. We appreciate that learning a language can sometimes be difficult and confusing, but our dedicated team is always on-hand to support you every step of the way. In all of our services, we’ll always be approachable to meet your needs. We also have a range of activities that complement your language learning, to help you grow in confidence and really love learning a new language! You can either call us on 0161 491 1444 or click the button below to contact us. 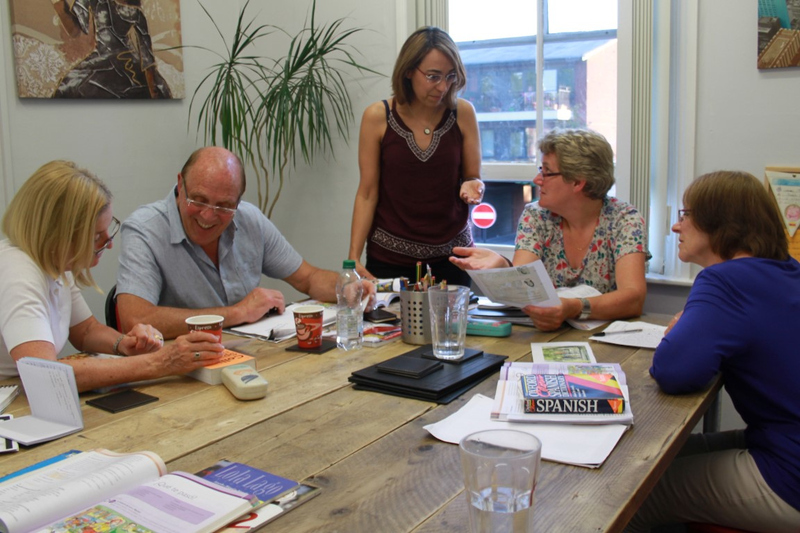 Language classes are held at our language school in Cheadle, Stockport (near Manchester), or at a location to suit you in Cheshire, Manchester or across the North West. la Academia’s professional language services have helped thousands of local businesses and individuals to expand their horizons since 2003. Contact us and la Academia can help you unlock the doors to a wider world!